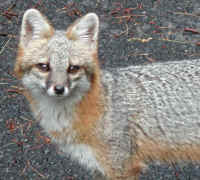 (Our Neighbors The Foxes - Grey or Gray Fox (Urcyon cinereoargenteus) - 46) This photo and comment was sent to us by Annie Wilczak http://www.geocities.com/wbyrehab/: Thought you might be interested in a three-legged fox. I am a NYS wildlife rehabber; RVS (rabies Vector Specie) amended. A few years back fostered a HBC young gray fox.. severally fractured foreleg. Pin placement did not take so we opted to try total amputation of the limb. The fox rebounded well, six weeks of physical therapy, learned to climb and hunt extremely well and was released on my private sanctuary. 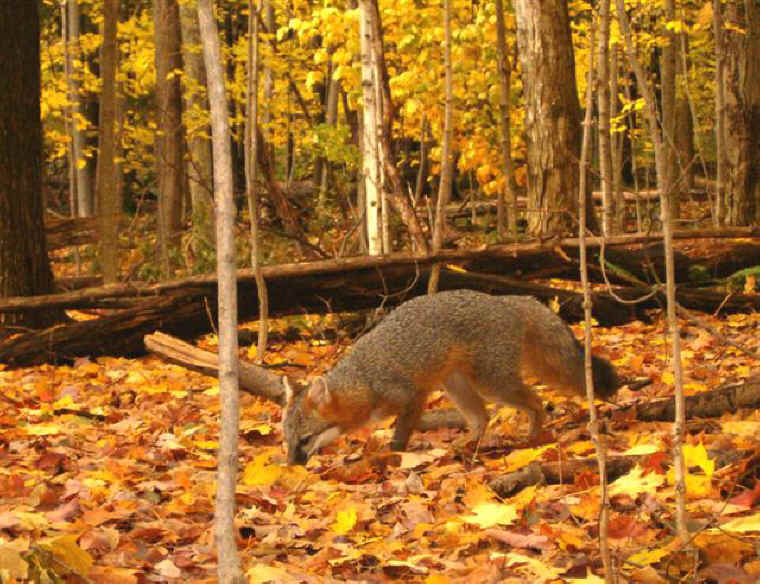 I still receive reports back to this day of that amazing, gorgeous gray fox spotted trit-trotting through the woods. A second chance was definitely in the cards for this fellow. Proud to have been a part of his rehab and release. One of those very happy endings we savor so much.